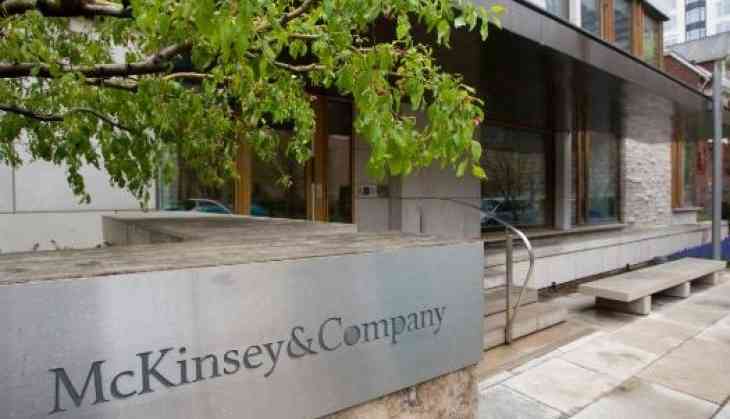 An Indian-origin former partner in global consulting firm McKinsey & Company has been sentenced to two years in prison by a US court for scheming to defraud companies out of hundreds of thousands of dollars. Navdeep Arora, a former partner in the Chicago office of McKinsey & Company, plotted with a former internal consultant at State Farm Mutual Automobile Insurance Company to defraud both companies out of fraudulent consulting fees. US District Judge Ronald Guzman imposed the two-year sentence in federal court in Chicago yesterday. Arora, 53, also fraudulently obtained money from McKinsey, State Farm and other McKinsey clients in the form of purported work-related travel reimbursements for expenses that were actually incurred on his personal trips. He falsely expensed personal trips to the cities in the US, England, Czech Republic, Germany and elsewhere. He also took the State Farm employee, Matthew Sorensen, on two personal vacations and expensed them to State Farm as business expenses. The costs included flights, hotels, meals, car services and other items, a Justice Department statement said. Arora of London, England, and formerly of Chicago, was arrested in 2016 at the city's JFK International Airport after arriving on an overseas flight. He pleaded guilty last year to one count of wire fraud. Sorensen, a resident of Illinois, also pleaded guilty to a wire fraud charge. He was sentenced to one year and a day in prison last year. Arora and Sorensen "concocted a fraudulent scheme to benefit themselves during their employment, Assistant US Attorney Sunil Harjani argued in the government's sentencing memorandum. The defendants' actions have caused both companies to undertake time and expense uncovering this fraud, destroyed a longstanding relationship between these two companies, and caused reputational harm. Arora and Sorensen had a longstanding business relationship through Arora's work overseeing the consulting services McKinsey provided to State Farm. According to the charges, their fraud scheme began in 2007. Arora and Sorensen used two corporate entities Gabriel Solutions and Andy's BCB to defraud their employers out of the phony fees. Sorensen billed McKinsey for the bogus work purportedly performed by the companies, while Arora allocated the fees to the State Farm projects to which he was assigned. As a result, McKinsey and State Farm paid USD 38,265 for consulting services purportedly performed by Andy's BCB and USD 452,710 in fees billed by Gabriel Solutions. Sorensen pocketed a large majority of the money, while Arora received a substantial salary and benefits from McKinsey for maintaining its business relationship with State Farm, the Justice Department statement said.